Travel companies have been ordered to end the use of hidden surcharges for passengers paying by card. Airline, ferry and rail passengers typically have to click through four to six pages of an online booking before the charge is added to the price. Now the Office of Fair Trading (OFT) has ordered them to make all debit or credit card charges clear immediately. 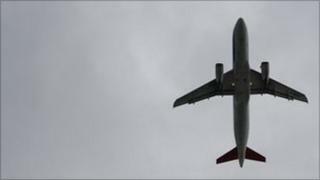 The OFT said travellers spent £300m on card surcharges in the airline industry alone in 2010. It warned that if travel firms did not comply, it would take action against them, using consumer protection laws. "We will take enforcement action against any businesses that do not respond to today's announcement and instead continue to use misleading surcharging practices," said Cavendish Elithorn, of the OFT. The OFT's announcement comes in response to a super-complaint by the consumers' association Which?. A designated consumer group can make a super-complaint to the Office of Fair Trading (OFT) if an issue is "significantly harming the interests of consumers". The OFT has 90 days to respond by stating what action, if any, it plans to take on the issue and the reasons behind its decision. Earlier this year it had called for customers to be told upfront about charges. It had also argued that charges to customers should be the same as the cost to retailers, and that retailers should absorb the cost of debit card payments. Which? had pinpointed low-cost airlines as the worst offenders, with cinemas, hotels and even some local authorities starting to copy them. Peter Vicary-Smith, chief executive of Which?, said the OFT's report was a victory for consumers. "We want to see the measures recommended by the OFT put in place as quickly as possible and finally put an end to the practice of card surcharging," he said. "Businesses can start to be upfront and fair over card charges today - there's no point waiting until the OFT forces action." Consumer minister Edward Davey said: "We will work with the OFT to make sure that consumers paying by card do not have to pay excessive surcharges." He added that the government was supporting the introduction of European rules, which would stipulate that surcharges must reflect the costs to businesses. It could be up to two years before these are adopted in UK law. Airline Easyjet charges a surcharge of £8 for payments by debit card and £8 plus 2.5% of the total transaction for credit card users, the OFT's report said. An Easyjet spokesman said: "We would like to see card charges incorporated into the headline fare, however, for consumers to benefit there needs to be a level playing field. "The only way to ensure consumers can make easier price comparisons is if a common treatment of card charges can be agreed across the whole of the transport sector in Europe, including train operators and online travel agents." Ryanair charges a fee of £6 per journey for both credit and debit card users. Ryanair responded to the OFT's move by arguing that its administration fees, which include card charges, were optional and "fully avoidable" for customers using a pre-paid card. But the OFT said that for many people charges such as these were, in effect, compulsory. Some travel companies have agreed with the regulator that they will include these charges in their headline price online. The OFT's Mr Elithorn said he expected this change to be in place within six months. But he admitted that the surcharge did not have to reflect the cost to companies of processing these payments. He accepted that this could be annoying for consumers. "There is frustration when people think they are paying for paying, rather than paying for the product," he said. Airline Monarch, which has already stopped levying debit card fees, said: "There is no justification for charging excessive fees on credit and debit cards." Rail booking service Thetrainline.com said: "We will be working with the OFT to make credit card charges clearer within the booking process." At present, using a credit card can offer extra protection for customers if things go wrong, such as a travel company collapsing. The regulator believes that by banning a surcharge for those using a debit card, competition will force down the cost of credit card surcharges. In December, the OFT warned retailers about tricking customers with misleading price offers, including "drip pricing" which involves adding compulsory delivery costs. Businesses must include any compulsory extras in their headline price on their website. For example, if an airline charges customers a fuel duty surcharge, this must be included in the advertised price of the flight. Super-complaints have been in the armoury of consumer groups since 2002. Examples so far have included complaints about bank charges, payment protection insurance, prison call costs and doorstep lending.